Get ready to catch some fish and win prizes! In our last update, we mentioned that we had a fishing game in the works. The feature is releasing soon, and we’re excited to share more details about it, and how the leaderboard will work. While our Bitizens are still settling into their new home of Bitropolis, some of them miss engaging in their favorite pastimes. To help them adapt to life in Bitropolis more easily, the city’s mayor—Sway—will be giving everyone a new device that brings a small digital taste of the old world—a VR Journals device. In order to redeem this new device, you’ll need to enter your Bitizen’s home and trade in your antiquated television box. In this first edition of the game, you’ll be able to catch fish that vary in weight and score. Compete against other Bitizens in a weekly contest for badges, limited edition items, and PLAT! Once you’ve unpacked your new device, boot it up and select the fishing game from the menu. 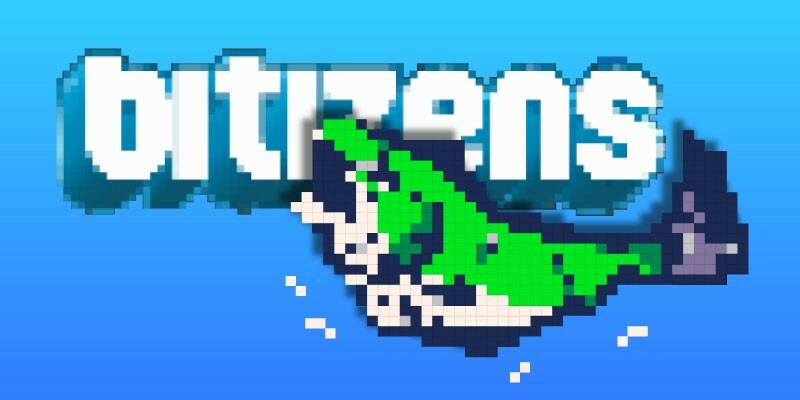 Your Bitizen will be “virtually” fishing digital goodies and competing against other Bitizens of Bitropolis. To cast your reel, tap anywhere in the lake and 1 bait will be used. After a few seconds, you’ll see your results and how you placed against others. Records of your fish caught will be recorded in the Leaderboard, and you can also view the current week’s prizes in the Reward table. Each week, the fishing game will offer different rewards. The leaderboard is split into two categories, weight (KG) and score. Placing in the top 10 on the leaderboard will net you PLAT. Top 3 places will receive a badge in their Bitizen’s home and 1st place will receive a piece from a Limited Edition set. The first week’s prize will be one piece of the Shark Investor’s Set. Thanks for following along our journey to Bitropolis! We can’t wait to share more updates with you. In the meantime, reach out to us and let us know if you have any game ideas! There’s always room for improvement in Bitropolis. The Fishing Game launches soon, and we’re really looking forward to hearing what you think, as well as seeing all the big ol’ digital fish you’re about to catch! BitGuild’s mission is to revolutionize the global gaming industry by creating a platform for a brand new class of games that live on the blockchain. Blockchain games completely redefine the relationship between players and developers by facilitating full and true ownership of in-game assets, cheap & safe item trading, cross-game compatibility of items & currency, and more. Join the community on Twitter, Discord, and Facebook.